Filled with gorgeous little bays of turquoise waters surrounded by pine-clad cliffs, Menorca is truly beautiful. The quieter alternative to its big brother, Majorca, Menorca, meaning the “smaller island”, attracts families and those looking for an escape from the typical nightlife and loud atmosphere that exists on some of Spain’s other islands. 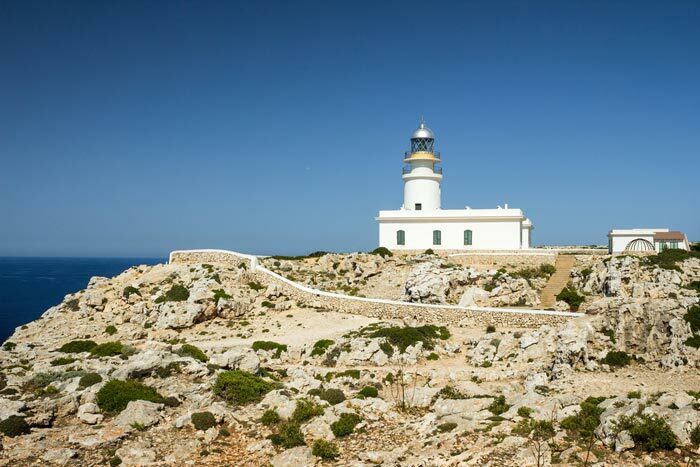 But this isn’t just a quiet beach destination, Menorca also has much to offer culture and history lovers too. We feature the best of this Balearic Island in our top 10 things to do in Menorca guide. 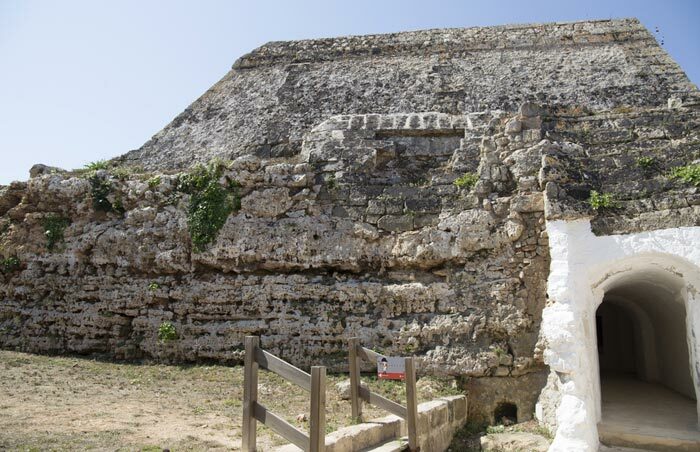 One of the top things to do in Menorca is a visit to Fort Marlborough. Fun and interesting for visitors of all ages, this historic fort was built by the British in the 1700s after they captured the important deep harbor at Mahon. The fort was built to defend the sound and today offers a fascinating walk through history. Explore tunnels and rock-carved rooms that are brought to life with the affordable audio tour that’s highly recommended. From parts of the fort you can look out to the beautiful Cala de Sant Esteve and see the remains of Castell de Sant Felip and Hangman’s Tower. 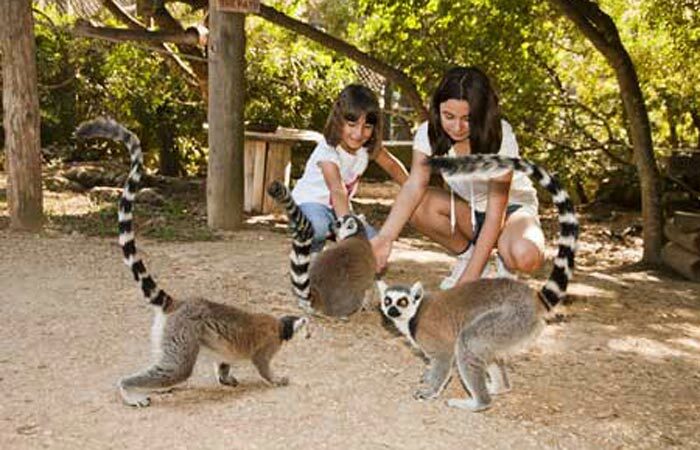 A perfect attraction for families, Lloc de Minorca gives the kids a half day away from the beach and the chance to get close with numerous different animals. Very child-friendly, this zoo is not too large, and when the kids do get a little bored you can stop by the splash park to cool down! 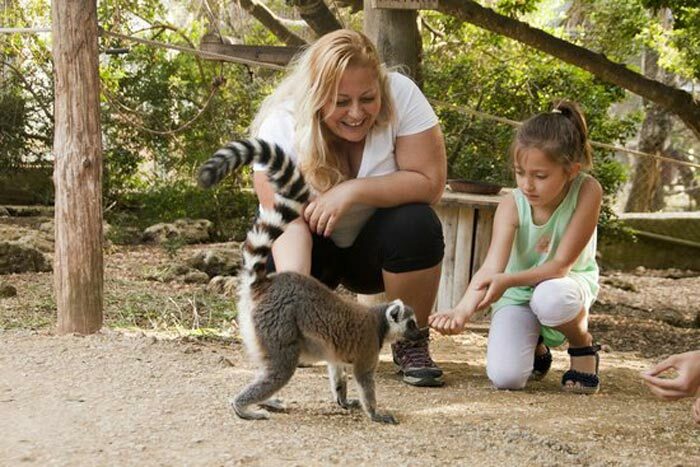 Add this to your list of what to do in Menorca for the chance to pet and hold a snake, and walk through goat and wallaby enclosures. There is also a playground and a snack bar, as well as an aviary and bird of prey display. 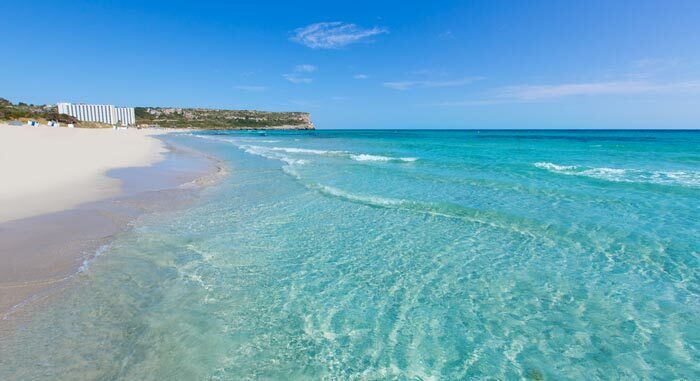 The longest beach on the island, Son Bou is also one of the most popular beaches on Menorca and, being so long (about 3 kms/1.8 miles) it is never full! Fine, golden sand that gently slopes into the clear water makes this an ideal family beach and if you stay close to the village there are amenities to make use of. 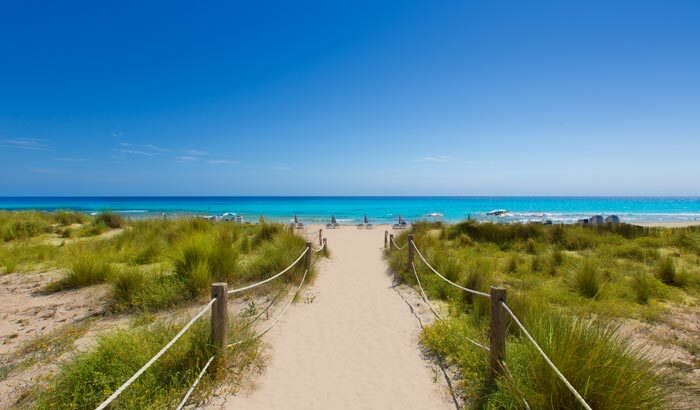 For those who prefer to get away from the crowds you don’t need to walk too far along Son Bou to get more privacy; in fact, the western half of the beach is unofficially clothing optional! 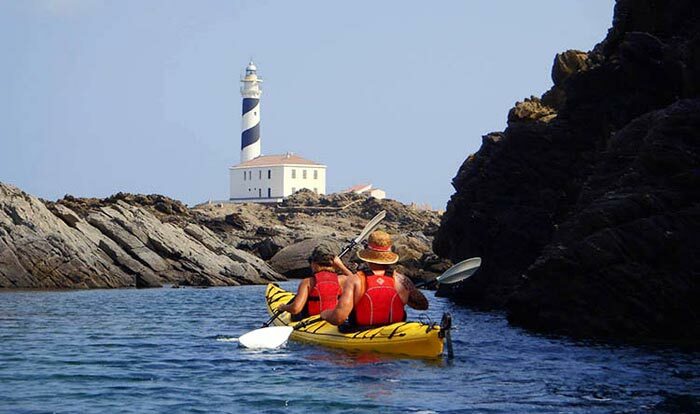 Situated on the northern-most point of the island, Cap de Cavalleria is both scenic and fun to visit. Although the lighthouse is the most prominent attraction on the surface there is a lot more to see here if you wander from the parking areas and explore. The little cave that opens out to a rock window in the cliffside is particularly memorable, and there are Roman ruins and even a small museum here. Take time to wander around the rocks and enjoy the views, and read the information signs that tell you more about this conservation area. Fun to visit with kids, Cap de Cavalleria is definitely one for your list of what to do in Menorca. 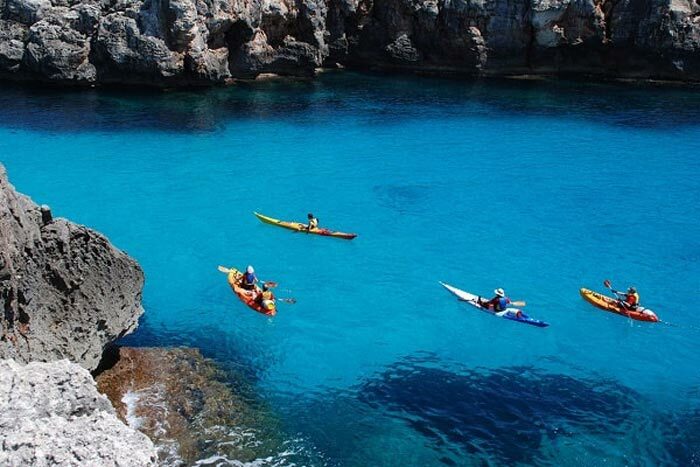 Kayaking is gaining popularity in Menorca because it’s the perfect way to reach inaccessible little bays and beaches! There are several places around the island where you can rent kayaks but we’d recommend Cala Galdana because there are many wonderful hidden and secluded caves and beaches that you can easily get to from here. Enjoy time out on the open waters, exploring each cove as you come to it, then when you want a break, slide the kayak up onto the beach and enjoy the solitude. 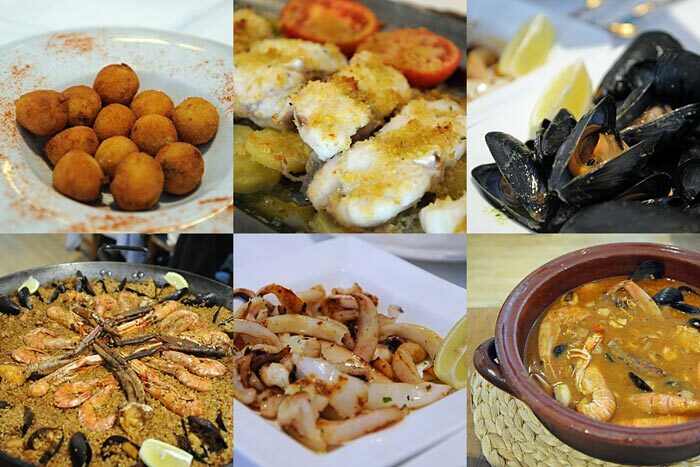 Being an island, seafood and fish are always popular on restaurant menus, as are typical Spanish dishes like paella, but if you want to try something that’s authentic to Menorca there are plenty of restaurants to choose from. Caldereta, for example, is a Menorcan specialty – it’s a fish and shellfish stew, or try a variation on paella, the Fideua has seafood and pasta rather than rice. Menorcan wines are making a comeback and following from the British occupation, gin is a popular drink too. For desserts try Flaons, a tasty pastry that can be sweet or savory. 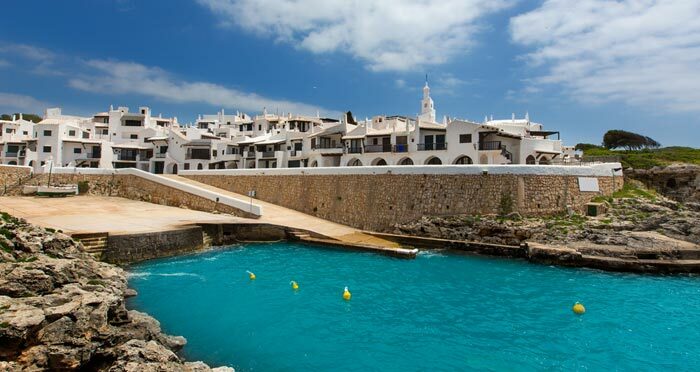 Beautiful, relatively quiet and unspoiled by tourism, Binibeca Vell is one of the top Menorca attractions. Designed to resemble a traditional fishing village, Binibeca Vell was actually built in the early 1970s to look like an old fishing village. 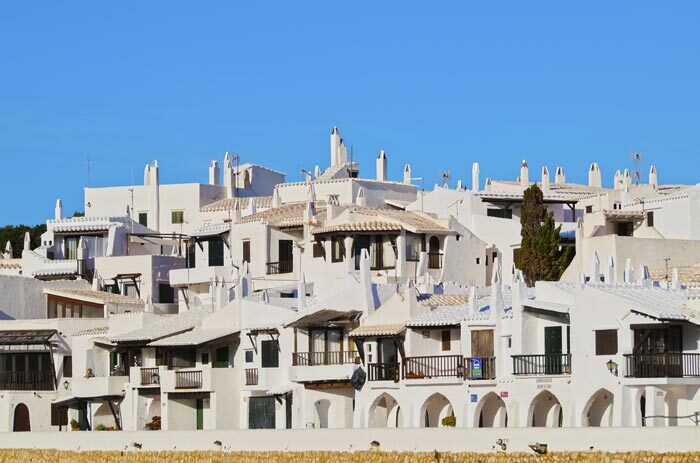 Filled with little maze-like alleys that bring you out to gorgeous sea vistas and occasional restaurants and cafes, the village has an almost Greek ambiance with the cube-shaped, whitewashed homes and buildings. be sure to make your way down to the pretty sandy cove where the water is virtually transparent! Wine production on Menorca went into decline over the past century or so, but today the industry is being revitalized with a number of small wineries starting up on the island. 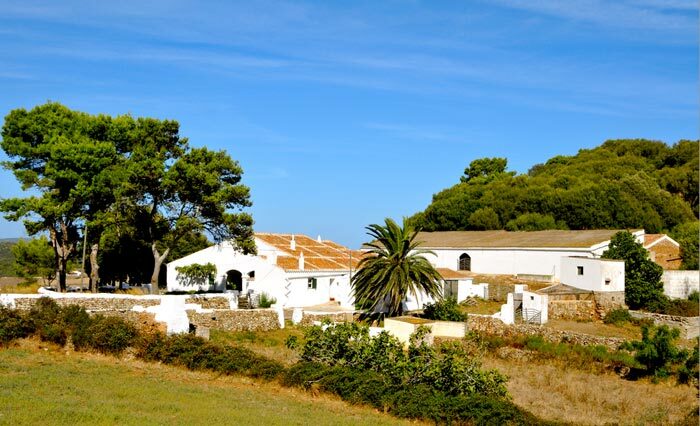 The leading winery, and one of the top Menorca attractions, is Bodegas Binifadet. Open for guided tours and tastings, this winery is also welcoming to children if you’re visiting Menorca with family. Whether you take advantage of the hour long guided tour or not, you can still sample some of their wines and enjoy a lovely meal in the restaurant where the focus is on locally produced high quality foods. 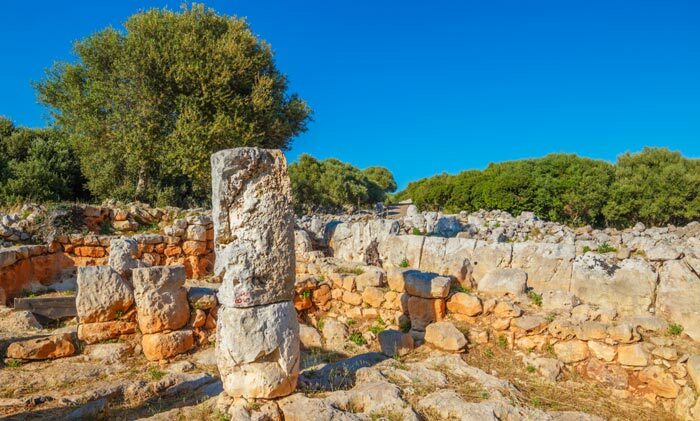 Rich in history, Menorca features several ancient remains and of these, Torre d’en Galmes is by far the best. 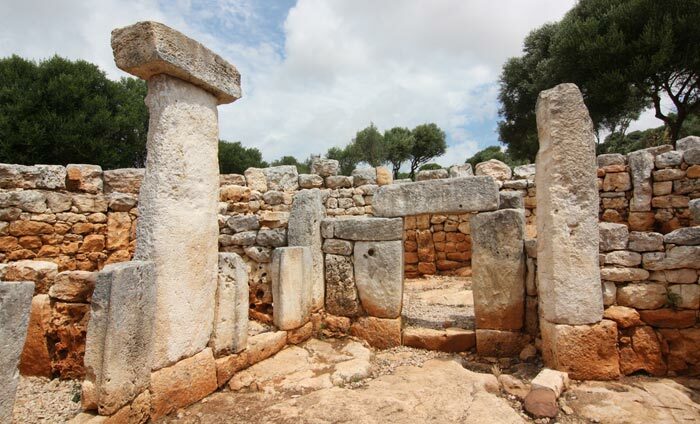 This Talayotic site was built in the 1400s BC and remained in use right through the Roman occupation of the island. After this the town was abandoned then later used by Muslim refugees. The huge site can be easily explored, including climbing over and into some of the buildings, and there are information boards to tell you what you’re seeing. The elevated hillside position of the town provides some wonderful views of the coast too. Menorca’s coastline is defined by hundreds of little coves, called cala in Menorcan. Some are easier to get to than others, but they’re all very beautiful. One of the top-rated coves on the entire island is Cala Macarelleta. The turquoise water is crystal clear, and because it’s a cove the sea is usually quite calm making this a perfect spot for families. 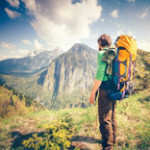 The only drawback is the 10-minute walk to get here but it’s not a strenuous hike, and once you see the stunning scenery your efforts will be well rewarded! 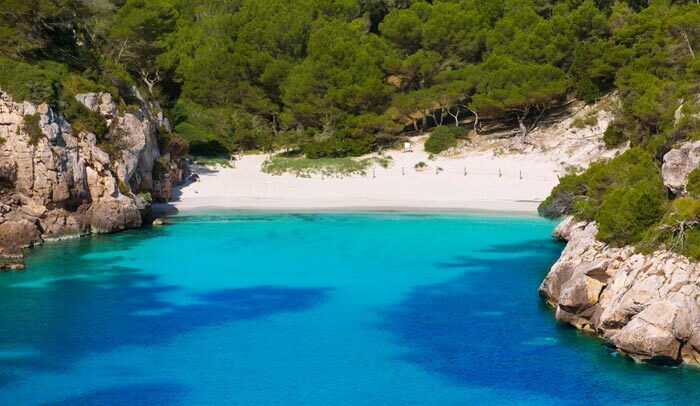 Add Cala Macarelleta to your list of what to do in Menorca.